Built on the world’s best desktop virtualization solution, Parallels Desktop for Mac Business Edition adds centralized administration, management, and security features to keep IT in control of virtual machines while still delivering best-inclass user performance for the most seamless solution between Mac and Windows. Seamlessly work with business-critical applications on your Mac like Microsoft Office, Internet Explorer, QuickBooks™, and hundreds of others. Ideal for any work environment, from education to financial services, technology, consulting, or medical. Deploy Windows virtual machines with same configuration sets quickly and effortlessly. 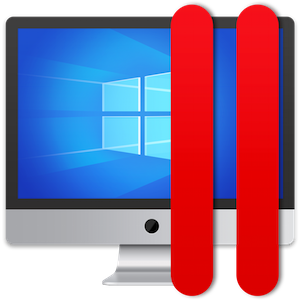 Optional Single Application deployment mode lets Mac users run a Windows application without being aware of Parallels Desktop and Windows running in a virtual machine. Single license for all installations. In the Licensing Portal, view license expiration, usage statistics, and real-time licensing activities to easily manage all of your licensed computers. Administrators have the ability to see, deploy, deactivate, and blacklist licenses based on Mac computer host name, user name, and a serial number. IT admins are enabled to encrypt virtual machines’ data, enforce external devices policies, restrict their users from changing Parallels Desktop and virtual machine settings, or create expiring virtual machines that will lock down once expired.